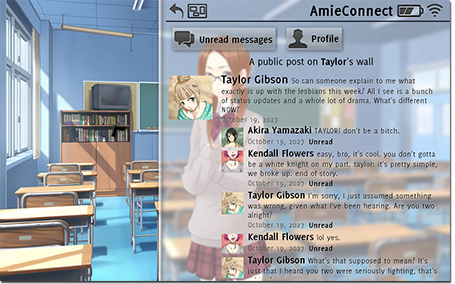 A spiritual sequel of sorts to Digital: A Love Story, set in a prestigious private high school, and on the social networks of 2027. 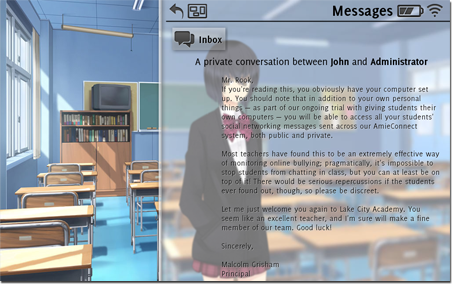 Seven students, three endings, one eavesdropping teacher. 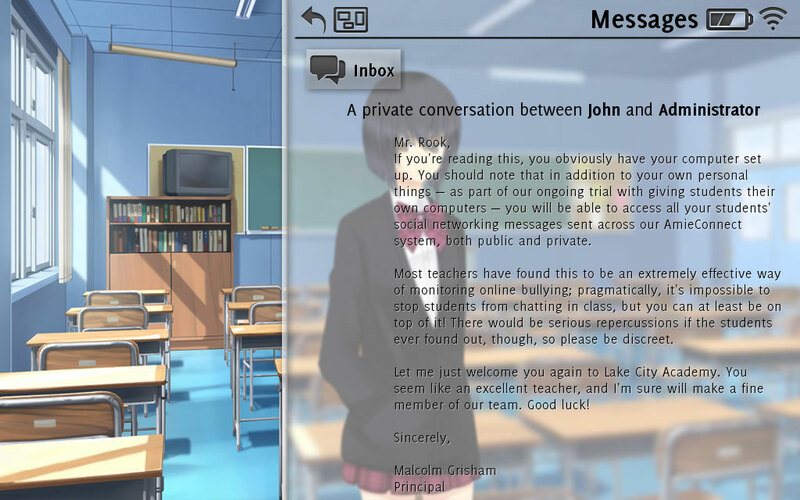 A full length visual novel about the erosion of privacy, gay drama, young sexuality, and the perils of modern online life for a high school literature class. System requirements are reasonably low; it should run on anything from the past few years. Computers without OpenGL available might have trouble. 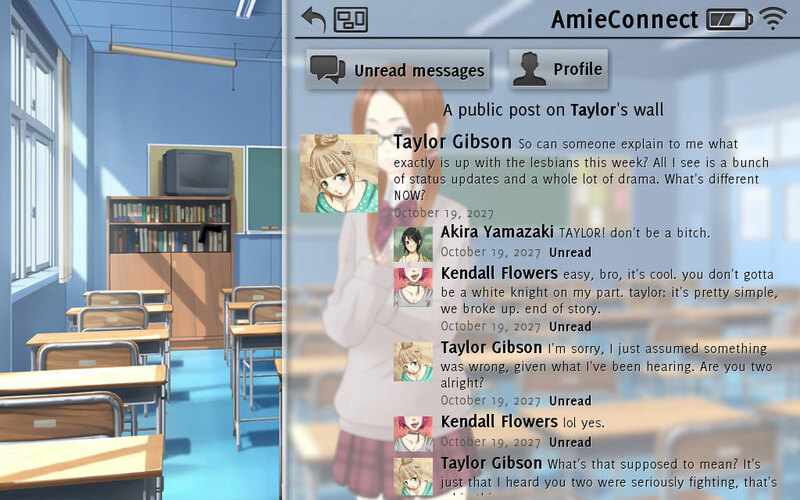 See Ren'Py support for details. 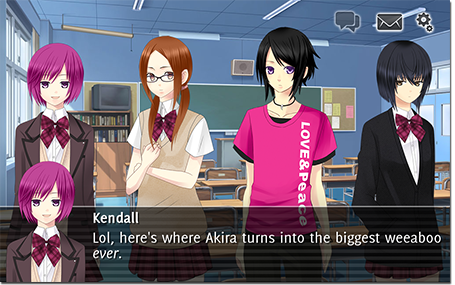 A NaNoRenO release. don't take it personally, babe, it just ain't your story is released under a Creative Commons license. April 2011, by Christine Love. See full credits.